The charming city of Cagliari is on the southern coast of the island of Sardenia. 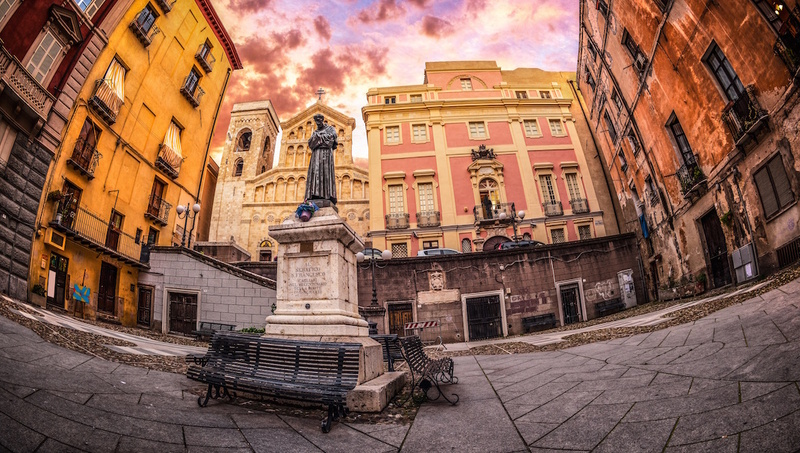 Cagliari offers visitors beautiful scalloped bays to explore and simultaneously invites you into the full Sardinian experience through its cathedrals, museums and Roman amphitheater. The Teatro Lirico was built in post World War II, after the war had left no theater or opera house standing in its wake. Today, the Teatro Lirico hosts many productions throughout the year and even won the Premio Franco Abiatti award for innovative programming. To truly understand the history of Sardinia, you have to get underground. 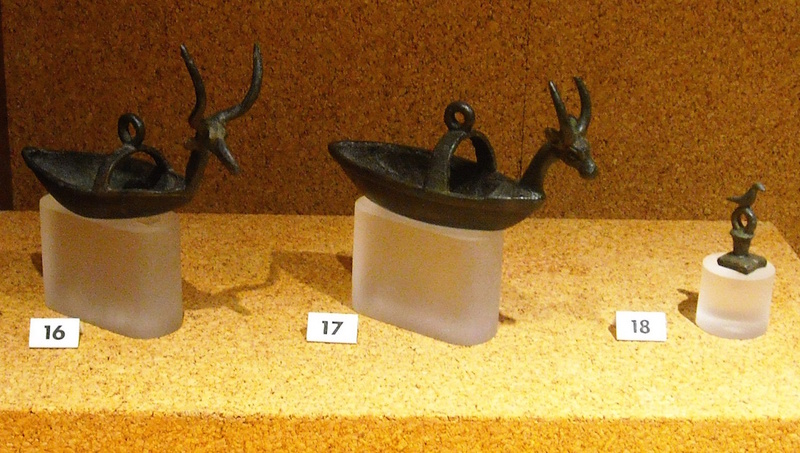 Explore the Museum of Archaeology on a rainy day and take in statues of the famous characters in Sardinian history. Sample Pisan-Romanesque style at the Cagliari Cathedral. Built in the 14th century, this church houses a variety of religious art including a 15th century Flemish triptych by Roger Van der Weyden. An exceptional view awaits you at the Bastione di Saint Remy. Rejoice in the fact that you have the choice of panoramic elevator or steps to manage the ascent before you take in breathtaking views of Cagliari's residences and the Mediterranean. 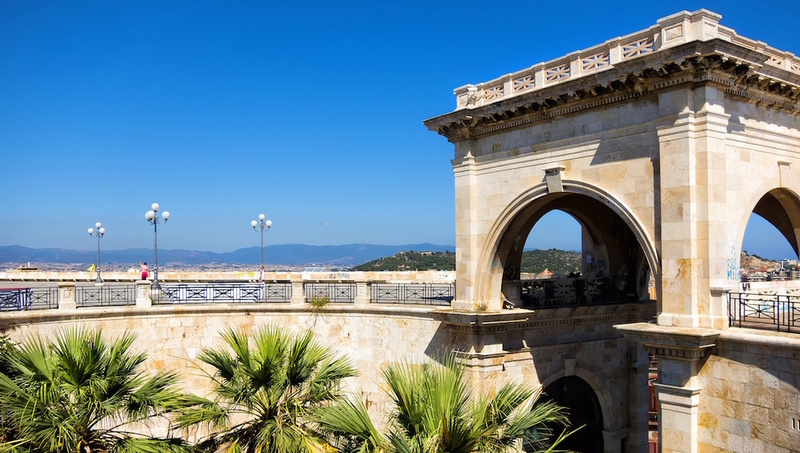 Nearly two hundred steps to the top of the Tower of San Pancrazio make the sight of Cagliari from the zenith that much more sweet. The tower is said to give visitors one of the best views of the entire city. The remarkable auditory qualities of any amphitheater must be experienced to be believed. 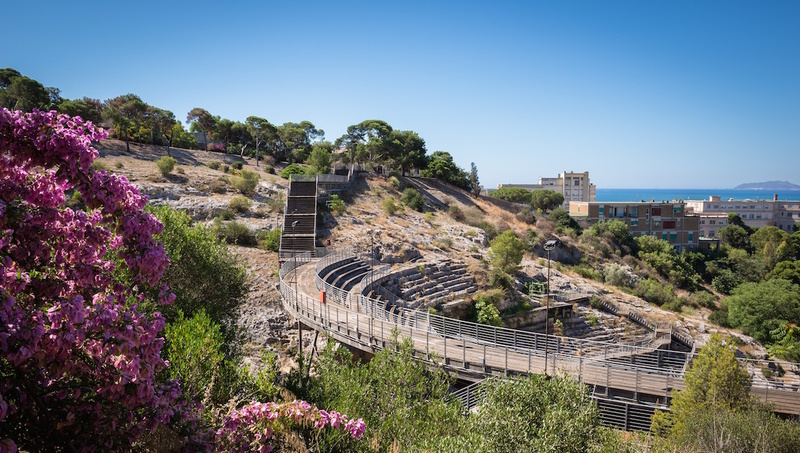 The Roman amphitheater in Cagliari is no exception. Prepare to be stunned at how even a whisper can travel from the stage to your ear. How to Get Around Cagliari? There is a variety of public transportation to choose from in Cagliari. You can choose between buses and trains if you prefer not to drive. Otherwise, you may rent a car. We recommend a small car as streets are narrow. Some may even want to bike around the city, but beware that traffic can be intense and there are not always bike lanes. 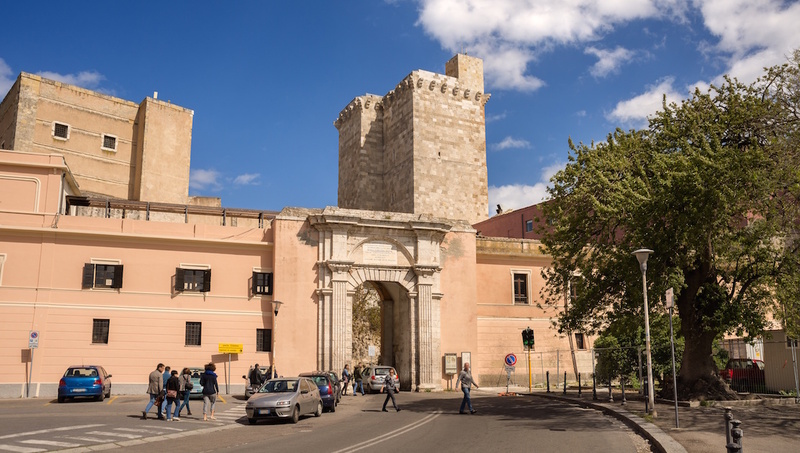 Where to Stay in Cagliari? The Marina district is an excellent neighborhood to find lodging. This neighborhood was once inhabited by fishermen and offers visitors the chance to stroll around tiny streets full of local flavor and smells. Plus, you're as close as can be to the docks. The best time to visit Cagliari is between June and September. The city is alive year round, but temperatures are most pleasant in the summer. Be forewarned that it is heavy tourist season for Italy so prices may be higher in the warm months than you'd find in winter. Want to discover all there is to do in Cagliari? Click here for a full list. A lovely day with a knowledgeable guide. Outstanding!! Thank you so much, Claudia and Barbara. A wonderful tour. The van was very comfortable and Claudia told us a lot about Cagliari and Sardinia. We saw a lot of nice places and were at one of the best beaches we have ever seen with lot of time to enjoy. Thank you so much, Claudia and Barbara. Is there a better way to see Cagliari? I don't think so! What a great 2 hours with Emannuel. Picked us up dead on time and whisked us away…..well lets be honest the 500 doesn't whisk....and roared us away in this splendid vintage car. Took us to places that other tours cannot reach and taught us such a lot about the city in which he's lived all his life. Outstanding value for money too. You could book other tours and share them with 20/30 other folk, or you can have this personalised winner. No contest! The tour was very well organized, and we enjoyed it very much. We were able to hear about brief overview and history about Sardegna on the way to Su Nuraxi , which gave us a good view of the land we're travelling. At the site, we were amazed by the complexity structure of the Nuraghe, as well as the level of civilization. It was certainly impressive, and the guidance given by the guide helped us to understand the background of the history as well. A great experience, really memorable, and fun for us all. Firstly, huge thanks to our guide, driver and boatman, Junior. He had an excellent knowledge and shared it with us in an understable way that added interest without overburdening us with facts. The trip itself was absolutely brilliant. Starting with the boat trip, the boat was good and the stood to allow us to swim in crystal clear waters with snorkelling kit Junior lent us meant we could see the many fishes in a way we've never experienced before. The lunch was great and worth the extra. The trip up into the mountains gave us views we would not have experienced alone nor with a tourist coach. It gave us an appreciation why Junior loves Sardinia so much. It's a great place. Thanks so much to Junior and the team that put this together. Our group was two fresh out of uni and us, the rather older parents, and all of us thought it was great. Thanks!